Working with TED-Ed Clubs is a great way to expand the reach of your TEDx event. All over the world, innovative educators and students are hosting TED-Ed Clubs in schools — an initiative that trains young people in how to present an idea in the form of a short, TED-style talk. Past talks have featured student ideas about bullying, technology, climate change — and more. 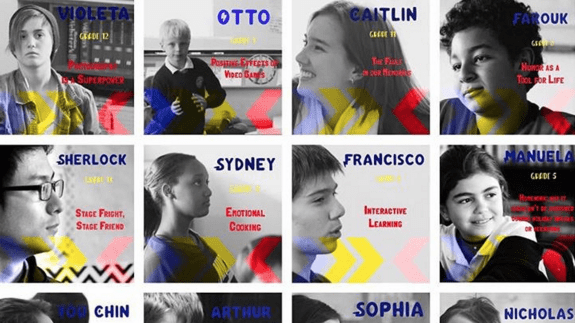 Schools from across the globe are invited to connect and share their ideas with each other — and some students are even invited to present their talks on a TED or TEDx stage. 1. Spread the word! Show this awesome TED-Ed Clubs video at your event. By screening this short video on how to start a TED-Ed Club, you can open the doors of opportunity for young people in your region. You might even inspire the TED speakers of the future! 2. Invite teachers to your event. Teachers are a great audience for a TEDx event. TED has a global network of over 250,000 teachers, and each year, TED-Ed selects 30 educators dedicated to making the world better for learners everywhere as part of the TED-Ed Innovative Educators program. You might even discover the next Innovative Educator in your audience! 3. Invite TED-Ed Clubs to your event. Email TEDEdClubs@ted.com to find out if there’s a TED-Ed Club in your region. Once you connect with a TED-Ed Club, you can ask the leader if they’d like to have a designated booth at your event — as a way to share what they’ve learned with a wider audience. For example, at TEDxYouth@SPH in Jakarta, organizer Stephanie Purwanto worked with local teacher and TED-Ed Innovative Educator Steven Sutantro to bring his club from Dian Harapan School and create a TED-Ed Club booth at the event. Read more about their collaboration here. Interested in the latest news about TED-Ed Clubs? Stay in the know by signing up for the weekly TED-Ed newsletter; reading the TED-Ed Blog; or following TED-Ed on Facebook or Twitter. 5. Start a TED-Ed Club yourself! If you are a teacher, or someone who works with students in a school setting or in extracurricular programs, or if you know a student leader who might be interested, you can apply to start a TED-Ed Club here.